In today’s post, we would like to update you on Optimov’s VAPA project and its scaling, from the beginning of the clinical trials in February, until today. We are going to compare the current statistics with those from our previous scaling publication. At the end, we are sharing an interview with José regarding the status quo here in Denmark and in Finland. In our first scaling post we introduced you to the project, so we will not cover it again, but if you want to refresh your memory, feel free to take a look here. It has been a little more than a year since we started the clinical trials with Optimov. We are training COPD & IPF patients in Denmark, and CVD patients in Finland. We are currently working on enrolling a new group of patients – Sarcoidosis – disease involving abnormal collections of inflammatory cells, which usually begins with the lungs. Currently we have 36 active patients and 77 registered in total since the beginning. 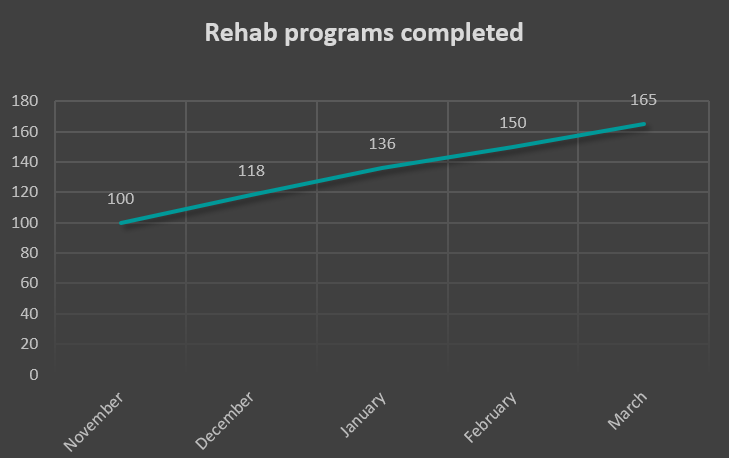 In total, they have completed 165 rehab programs (see the graph below). The results have more than doubled for only 5 months. Total rehab programs completed with Optimov. The patients have exercised for 16837 minutes while being monitored with a biometric sensor measuring their heart rate. As you can see in the graph below, the numbers have been growing rapidly. Numbers speak for themselves, the platform is quickly growing. We also have several patients, who have completed the clinical trials and want to keep on training with Optimov. These are great news and we are more than happy to keep helping chronically ill patients improve their health and the quality of their life every day. 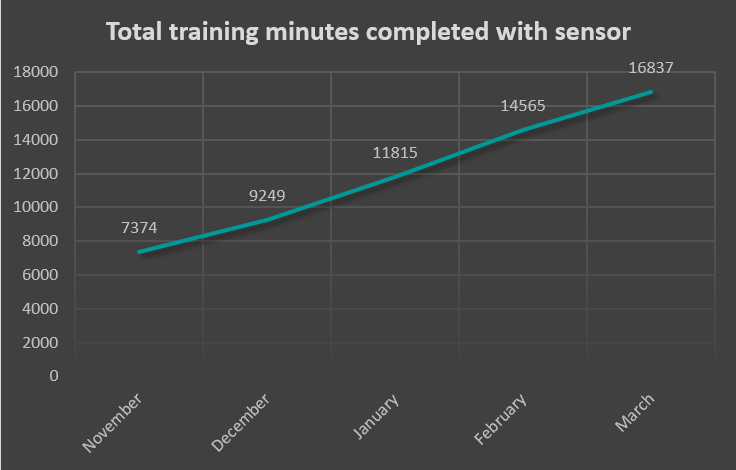 Total training minutes completed with sensor. Our physios have had 126 video consultations with their patients and keep on getting great improvements with their patients. When it comes to the e-learning sessions, the patients have seen 196 e-learning videos. Here, we would like to note that the feedback we got from the users regarding the e-learning videos was not completely positive (read here for more information). However, the usage has grown from 121 to 196, where 72% of them has answered positively and the rest are rescheduled again for a secondly try. Regarding the questionnaires, 533 has been completed so far, compared to 195 completed by the end of November from the last publication. 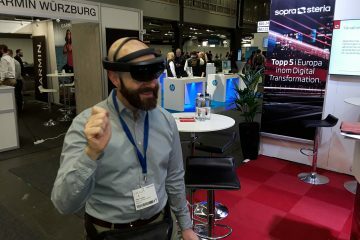 Here, we have been asking the patients in Denmark to give us their opinion on their daily experience using the Optimov platform. You can read about the patients’ responses in the following part, where we are sharing a short interview with José. To get an update on the trials and the feedback from patients and physios, we did a short interview with José. How have things been with the trials? We still have some challenges to enroll more patients due to hospitals organizational changes in the last months. Until today we have 35 patients in TELECOPD 1 and 1 patient in TELECOPD 2 trial. However we are almost finished with the enrollment on the TELEIPF 3 (25 patients) and we see that many of them are very interested to keep their equipment after intervention and continue training in their own pace. How is it going in Finland? The Finish research team has been successful to enroll 19 patients since January and half of them (that are part of the intervention group) are working daily with our platform. What is the feedback from the Finnish doctors? Doctors use the platform in a different way than we do in Denmark, this has been challenging for the development team to adjust and customize some of the features for the doctors to create and update rehab programs. Are there any other countries interested in a trial? 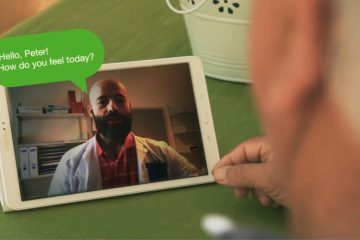 Yes, we got interest from doctors working with COPD patients in Saudi Arabia willing to start a research at their hospital with our platform. What is the feedback you get from the patients? In the last week I tested 3 IPF and 1 COPD patient after their intervention period, all 4 were very satisfied using the platform and were asking to keep the platform for the next period of time where there is no interaction from the physiotherapist. One of them was really afraid to stop training if we got back the training tools. The overall experience is positive, where 78% gave a grade of 4 (highest possible being 5). Some of the patients have hard time to get their pulse high, while others find their program too tough. This feedback is used to adjust the patients’ programs and make it fit better to their individual needs. Are things going after plan? Are we going to finish with the trials after the summer 2018? I am afraid that we would be in the need of an extra year in order to finish the clinical trials due to many delays during the research part. But it is important that we get this scientific proof. For that we would do our best to finish them. But we hope to extract some data in October 2018 to check how well things are going. That was out last update. We strongly believe that we will get the scientific proof we expect from the trials. This would enable us to help many people, all over the world. It is just a matter of time. In the mean time, stay tune for more updates.